Why does ETS select only former Special Forces and elite government unit personnel for full-time Executive Protection? Operators cost millions of dollars to train but their true value comes from years of real-world assignments that shape and sharpen their skills, networks and instincts. Their proven unique experience facilitating secure travel and lifestyle in all environments without fanfare is their understated asset. VIPs chaperoned by world-class tier one operators can safely and efficiently move on foreign turf while remaining under the radar. Low profile, discreet and respectful, the former Special Forces operator is a proven and powerful enabler. A conscientious operator able to read the environment and quietly get the job done is an invaluable part of a VIP’s team. As seen repeatedly in the celebrity and corporate worlds, unprofessional personal security can inflict long-lasting reputational harm, or worse. There are multiple untold horror stories of VIP security gone wrong including personal security operators and drivers getting lost on the way to meetings, driving through high-risk environments, and having their VIPs attacked. There are examples of personal special event security negligently discharging firearms, crashing vehicles, and losing track of their protectee. Even less extreme failures have a serious negative impact on business effectiveness, brand reputation, and the personal image of the senior executive. Far too often those most in need of high-level security make the mistake of saving on cost in favor of ‘large, imposing bodyguards’ yet rarely consider if these persons have the training and ability to react. Some Executive Protection businesses, even the largest ones, normally recruit from a pool of civilians, or minimally trained ex-armed forces willing to ‘train’ and accept low wages to become part of the ‘circuit’. These companies celebrate and laud their training programs, yet you can’t teach the skillsets and real-world experience of tier-one professionals in two weeks. Reaction instincts, and covert operations skills under high levels of risk and stress, simply can’t be developed in a hurry. This is why ETS only uses Tier One personnel from its personal networks, only selecting personnel from the most elite units. It is only through this system that we can guarantee our clients the very best level of service. ETS Risk Management ETS is a Global Risk Management and Executive Protection Company focused on the provision of Protective Security Solutions. In the present post 9/11 world, event security has turned into a best worry for event organizers. A wide range of events can be helpless against security dangers, regardless of the span of the event or the area. 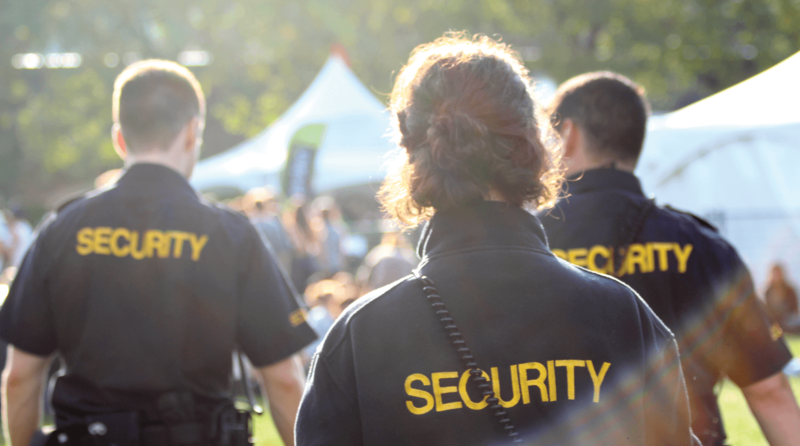 Event coordinators should dependably be considering the most ideal approaches to execute security at events so as to guard their participants. As seen repeatedly in the celebrity and corporate worlds, unprofessional personal security can inflict long-lasting reputational harm, or worse. There are multiple untold horror stories of VIP security gone wrong including personal security operators and drivers getting lost on the way to meetings, driving through high-risk environments, and having their VIPs attacked. There are examples of personal negligently discharging firearms, crashing vehicles, and losing track of their protectee. Even less extreme failures have a serious negative impact on business effectiveness, brand reputation, and the personal image of the senior executive. Far too often those most in need of high-level security make the mistake of saving on cost in favor of ‘large, imposing bodyguards’ yet rarely consider if these persons have the training and ability to react.